The Barrington Board of Education will consider a plan to significantly upgrade lighting at Avon and Woodland schools through a program that will result in an immediate cost savings, according to the board’s agenda. The board also will have the opportunity to approve two long-term substitute teachers to temporarily replace teachers on leaves of absences and will honor the Woodland School students of the month. The lighting program takes advantage of the PSE&G Direct Install program to improve the quality and efficiency of lighting at Avon and Woodland schools. PSE&G would pick up about 80 percent of the installation costs, and the district would have 24 months to pay off the remaining 20 percent with no interest charges. Due to the increased efficiency, however, the immediate monthly savings of $1,103 would more than pay for the monthly charge of $709. The net savings of $4,728 in each of the first two years would increase to $13,236 per year once the installation costs are paid off. The board also will have the opportunity to approve Mary Spaeth as a long-term substitute for 5th-grade teacher Taryn Ferrante through March 28 and Desiree Baird as a long-term substitute for 1st-grade teacher Melissa Avery, who resigned. 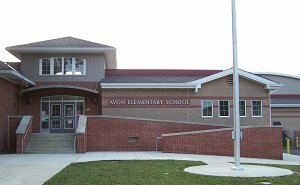 Avon School’s Heather Worthington also intends to use sick days, unpaid days and intermittent Family Leave of Absence days through the end of the school year. If you have any concerns over my objectivity or with the content on this site, please leave a comment or email me. 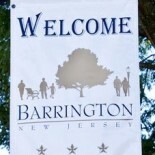 This entry was posted on February 11, 2013 by Barrington Bulletin in Schools and tagged school board.